New or old, still fun to drive! 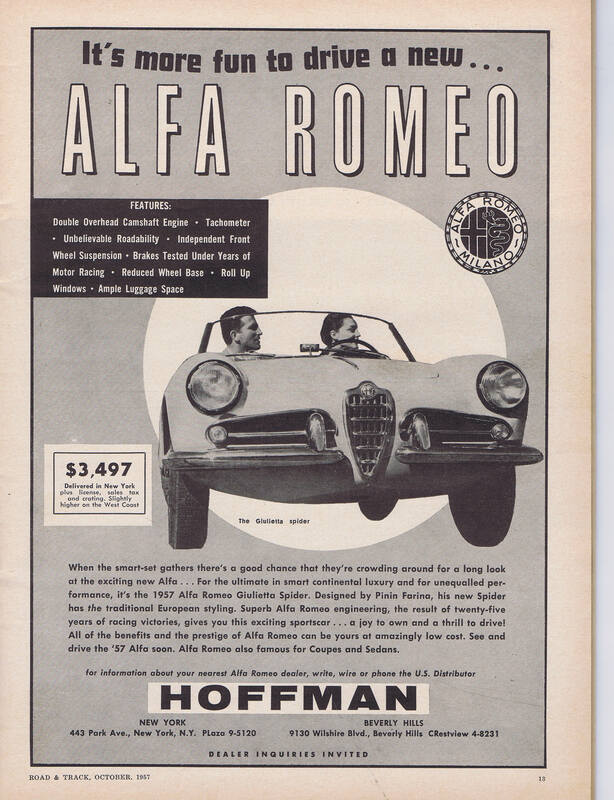 This vintage advertisement from a 1957 issue of Road & Track explains all the features a new Alfa Romeo offered for fun driving – and those features are still viable today in a vintage Alfa. It’s why we’re driving 3,000 miles. Well, that’s a nice advertisement Fred! Keep posting more of that.